All orders will be shipped United States Postal Service (USPS) unless otherwise requested and approved. Ready to Wear and Boutique have a processing time of 2-3 business days before shipping. Custom dance wear is made to order with a production time of 6-8 weeks before shipping, extending up to 10 weeks during the holiday season(Nov-Feb). International orders with combined Ready to Wear/Boutique and Custom items will not ship separately and will be shipped when the entire order is complete. To receive your Ready to Wear faster, we recommend placing separate orders. Ready To Wear orders that contain Preorder items will ship when the Preorder items are completed. For faster shipping, please place separate orders. 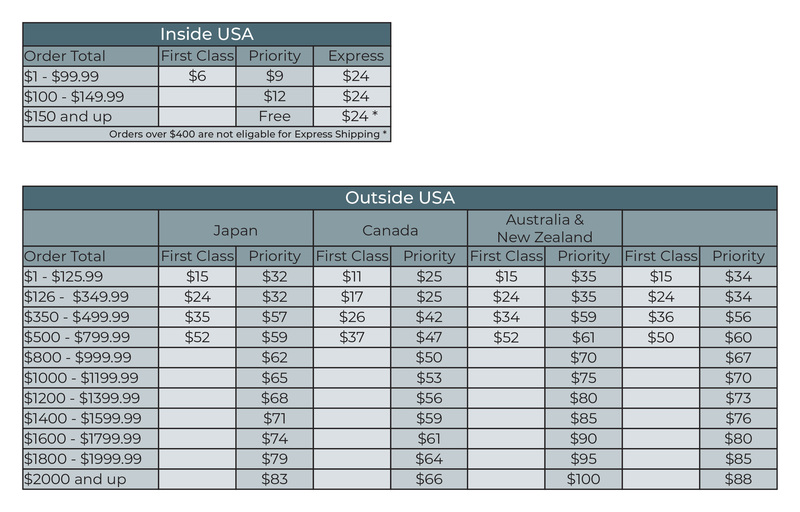 Domestic orders containing both Ready To Wear and Custom with USPS Priority Express shipping selected, will not be split. Please place separate orders to receive your Ready To Wear faster. Please note USPS Priority Express shipping does not shorten Custom Production time, only shipping time. If your address has changed after you placed your order, please contact us as soon as possible. Once your items have been shipped, we are unable to change the shipping destination. It is the customer's responsibility to contact the United States Postal Service to track down their package. Elevé Dancewear is not responsible for lost, stolen, or damaged packages during shipping. If your package is returned to us, you will be notified and recharged the shipping cost. *International customers are responsible for all taxes and tariff fees involved with shipping overseas. Please contact your local Customs Office to locate lost packages. Priority Shipping will provide more tracking information for our international customers, as well as a faster ship time, but does not change production time. Elevé Dancewear is not responsible to remake any international orders shipped with First Class. Elevé Dancewear Ready To Wear and Boutique Items may be returned within 14 days from when the item was delivered. Shipping costs will not be refunded. All dance wear must be in its original packaging with sanitary liner sticker and tags attached. Dance wear must be tried on over underwear for sanitary reasons. Items that have been worn, washed, or smell fragrant cannot be returned. Items that don't pass inspection will be sent back at the owner's expense. Exchanges can be made by creating a new order directly on our website. Refunds will be processed within 2-3 business days after items are received back in store and will be issued onto the original payment method. Refunds should appear within 10-14 business days depending on your bank. Store Credit can be requested instead of a Refund. Elevé Ready To Wear is limited stock and we cannot guarantee we will be able to exchange an item of the same design in a different size. Elevé Dancewear does not accept returns on Custom dance wear unless there is a defect in the production of that item. Returns due to defect need to be made within 14 days from when the item was delivered. All dance wear must be in its original packaging with tags attached. An exchange or repair will be issued for that item, but no refund. Dance wear that has been worn or washed cannot be returned. Any orders with special requests for alterations or adjustments cannot be returned. To process the return of a custom item, email us at info@elevedancewear.com. Please do not send back dance wear until a return is approved by customer service.